O’Neil Electric Supply is very pleased to announce the addition of Siemens Canada EM LP as the company’s new Power Distribution Equipment Partner. This partnership will allow both O’Neil Electric Supply and Siemens to expand and better serve their small, medium and large Electrical Contractor customers in the Greater Toronto Area. O’Neil Electric Supply thanks Schneider-Electric’s management and staff for their 27 years of partnership. Both organizations will continue to work collaboratively during a transition period to ensure continued customer service on all existing projects. Common commitments made before and during this transition period will be respected. O’Neil Electric Supply was founded in Toronto 53 years ago and is a proud Canadian owned, independent wholesale supplier of premium electrical products in Ontario and the GTA. 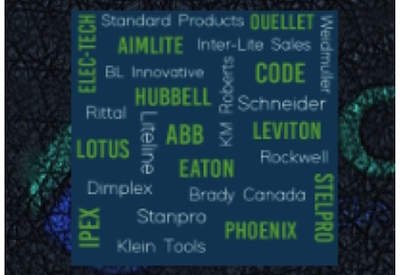 O’Neil Electric Supply is a proud member of Affiliated Distributors (A-D), North America’s premier wholesale buying and marketing group for construction and industrial supplies, with over 500 independently owned members and $37+ billion in combined sales. Siemens is one of the world's largest producers of energy-efficient, resource-saving technologies. Siemens is a leading supplier of gas and steam turbines for power generation, a major provider of power transmission solutions and a pioneer in infrastructure solutions and automation, industrial drive and software solutions and medical diagnosis systems. In fiscal 2017, Siemens Worldwide Group generated revenue of €83.0 billion (est. Cdn $ 125 Billion) with approximately 377,000 employees worldwide.